Sweet potato (Ipomoea batatas) leaf surface, coloured scanning electron micrograph (SEM). The tubers of this plant are cultivated as a root vegetable. 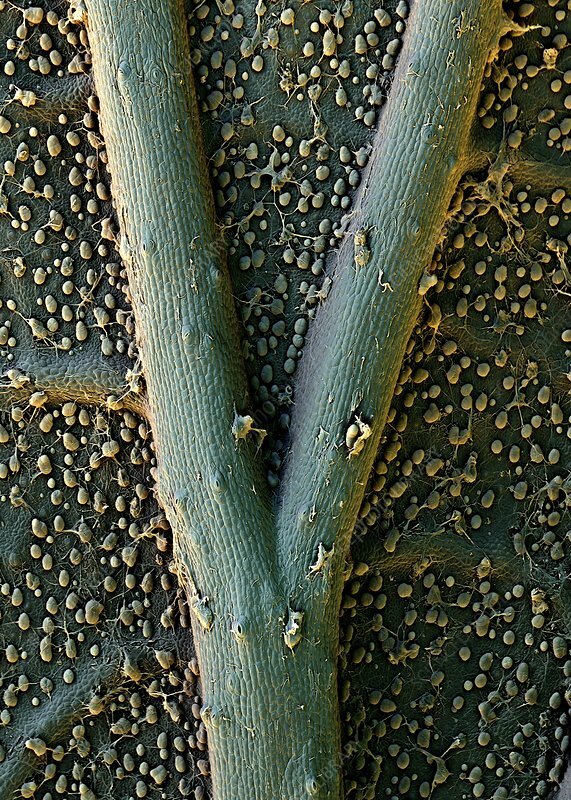 This view shows leaf veins.